對初學者來說很棒的教訓。導師很友好，很容易理解。說明很清楚。度過了愉快的時光，能夠在2小時課程結束時衝浪並掌握衝浪的基本知識。教練還提供前往庫塔海灘和淋浴設施的交通服務。 Great lesson for beginners. The instructor was friendly and easily understood. Instructions were clear. 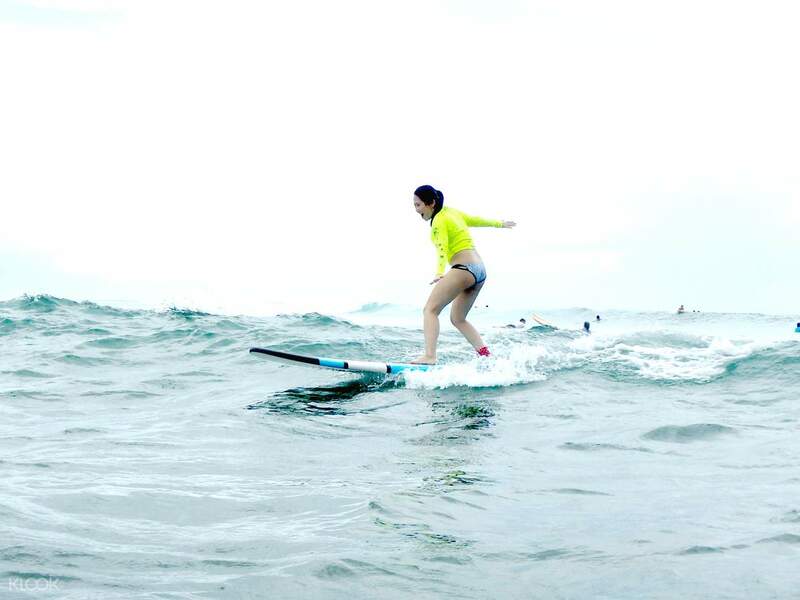 Had a great time and were able to surf and grasp the basics of surfing by the end of the 2 hours class. The instructor also provide transportation to Kuta Beach and shower facilities. 教練員非常專業和耐心，其中一名教練是頂級衝浪者。他們提供了一個適當的衝浪服。另請注意，請攜帶自己的毛巾，防曬霜，防水手機套和帶拉鍊袋的短褲。 Coaches are very professional and patient, one of the coach are top surfer. They provide a proper surfsuit. Also note that bring your own towel, sunblock, waterproof phone case and shorts with a zipper pocket.